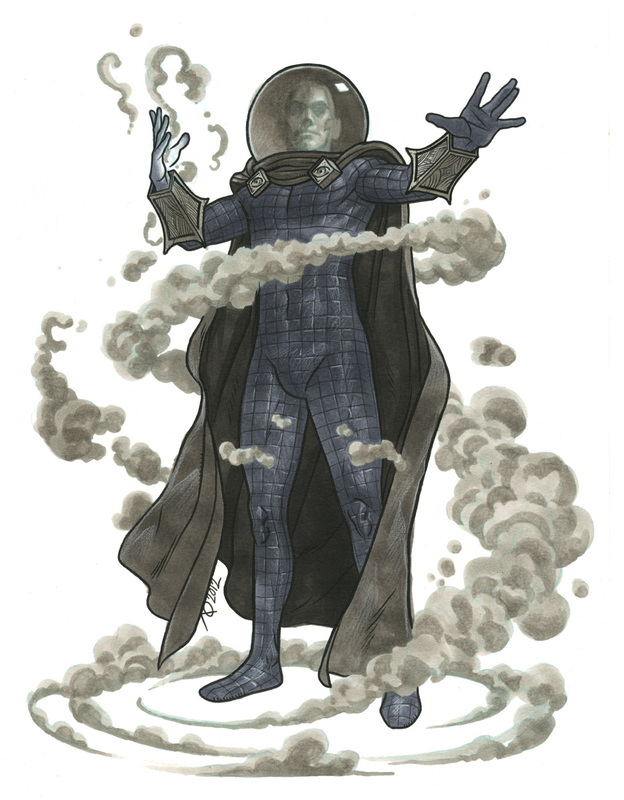 What with Amazing Spider-man hitting theaters this week, I thought I'd post this commission of one of his less loved adversaries, Mysterio! Hopefully we'll see this character appear on film at some point. Boston Comic Con, 2012. Pen & ink, Copic Marker on 11x14" bristol board. amen to that! i did Mysterio for a Spidey Villians costume group at Chicago Comic and Entertainment Expo (C2E2) this year. totally did not expect all the love for ol' Fishbowlhead.